We grow single crystals of bulk-insulating topological insulators, topological superconductors, Weyl semimetals, and candidate materials of new topological matter. They are characterized mainly by magneto-transport measurements to understand their peculiar electronic states and to look for novel transport phenomena. We also grow nanowires and nanoplates of these materials and characterize them in device forms. We grow epitaxial thin films of a bulk-insulating topological insulator (TI) and a quantum anomalous Hall insulator (QAHI) using the MBE technique as platforms of novel devices. We also grow artificial heterostructures with the MBE technique to synthesize designer topological matter. 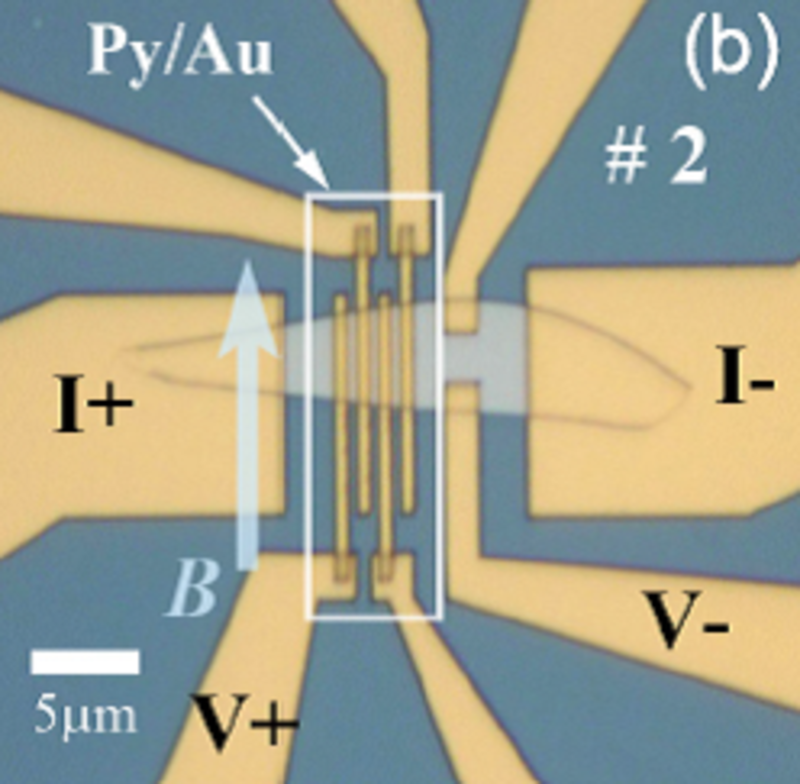 The quantization phenomena occurring in TI nanowires enrich the physics TIs. We synthesize TI nanowires using both top-down and bottom up approaches and elucidate their novel physics. 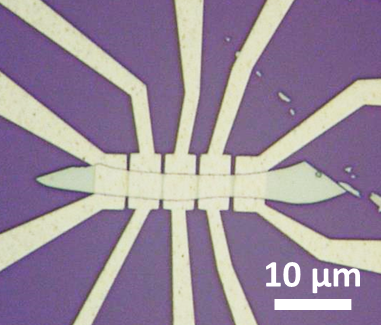 Furthermore, we combine TI nanowires with a superconductor to generate Majorana zero-modes for topological qubits. We seek to utilize the spin-momentum-locked surface states of TIs for developing new concepts for spintronics, including spin transistors. Realization of the ballistic spin transport, which is expected to be 100% spin polarized, in a nanodevice is our important goal. 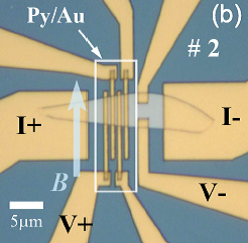 The Josephson junctions made on a TI surface are expected to host 1D Majorana fermions, and the Josephson vortices created in such a junction should trap a Majorana zero-mode. We use these junctions to address the novel physics of Majorana fermions and, ultimately, to elucidate the non-Abelian statistics of Majorana zero-modes by interferometry. We use TIs as the basic platform to generate Majorana zero-modes and to realize qubits. To enable braiding operations, which are the key to topological quantum computing, we need to incorporate 6 Majorana zero-modes in a 1-qubit device and to control their internal and external couplings. We employ state-of-the art materials, device fabrications, and microwave instrumentations to realize a topological qubit and characterize its performance.